In recent months fashion firms have been determined to revalue the ordinary in a very extravagant way. After the famous blue bag Ikea type of Vetements, the most expensive paper bag in the world of Balenciaga, the brick of Supreme, the toilet of Vuitton and the peculiar clip of Prada, now it is the turn of Isabel Marant and her new version of the classic kitchen scourer. 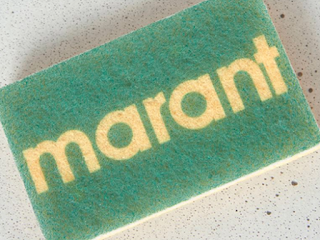 The object in question is a scourer in green and yellow with the word 'marant' on top. The already famous product is part of her collection 'Logo à Go-Go', which does not lack detail and in which we find everyday items such as gardening gloves, cups and even a swimming cap. 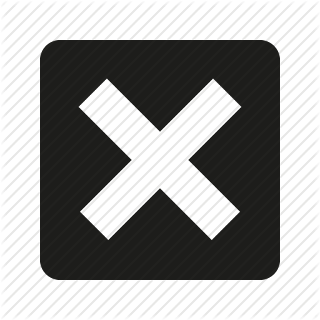 There is also no lack of fashion line with sweatshirts and T-shirts, among other garments, all with the logo of the designer printed in a visible way. Regarding the prices of the collection, there are several options. The scourer sells for 9 euros, while the cups to 25, the cap to 14 and the gloves to 32. The average price of a bag of Isabel Marant is around 500 euros, so looking at it from this perspective has never been so accessible to buy an object of the signature as up to now; but if, on the contrary, we compare it with the same products of a large area, the thing changes, exceeding the average of its usual values far above. The line of Isabel Marant is characterized by having a much lower price than the items that other luxury brands have sold, including Chanel, which generated much controversy last year with the wooden boomerang with the logo that cost more than 1,700 euros and that offended the Australian community for "cultural appropriation", as it claimed to feel "offended" and "humiliated" by this object that the aborigines used as a "survival weapon". Beyond who will bet on that scrub - maybe Kim Kardashian, who already caused a furore with his garbage containers with the Louis Vuitton monogram? - we have the doubt of whether this is the totally unique and original way that Isabel Marant has to join the fever by the logos that is being lived this season or if, like Vetements, it is an exercise to make cool what, until now, seemed totally everyday. Of course, there is no doubt that there is no better way to return the ordinary act of scrubbing glamorous.